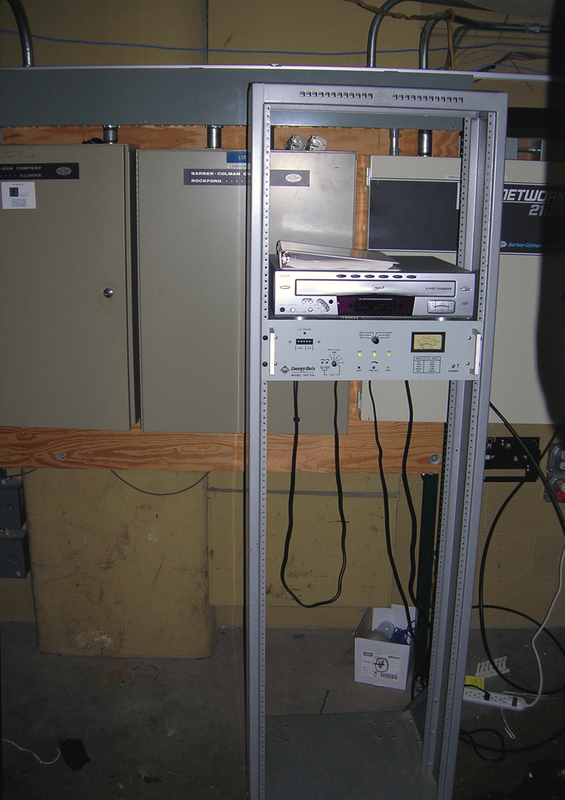 In the spring of 2005, Third Presbyterian Church in Rockford began broadcasting on 99.3 with low power station WTPB. The transmitter and antenna for WTPB are located at Burpee Center. The church plans a cooperative effort with Rockford College where RC students will provide programming for some of WTPB's broadcast day. It was originally hoped that broadcasting would begin from campus in the Fall of 2005. 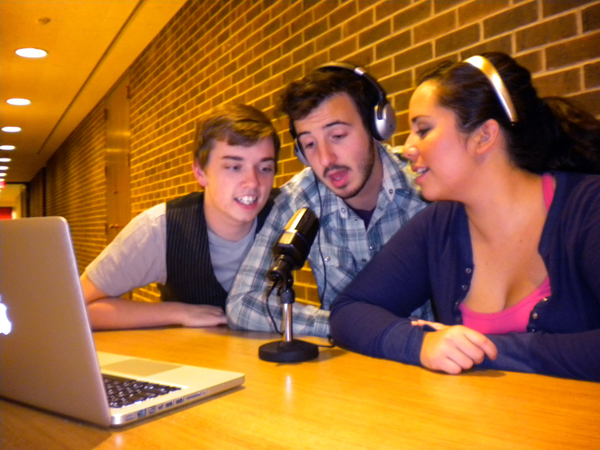 A new generation of Rockford students finally took to the airwaves in November of 2009 voicing announcements about college events. Here's an entire radio station! That's a 5 disc CD player and an FM transmitter. They're in an equipment room in upper Burpee Center. Thanks to Dean Kenrick Peters for these pictures. 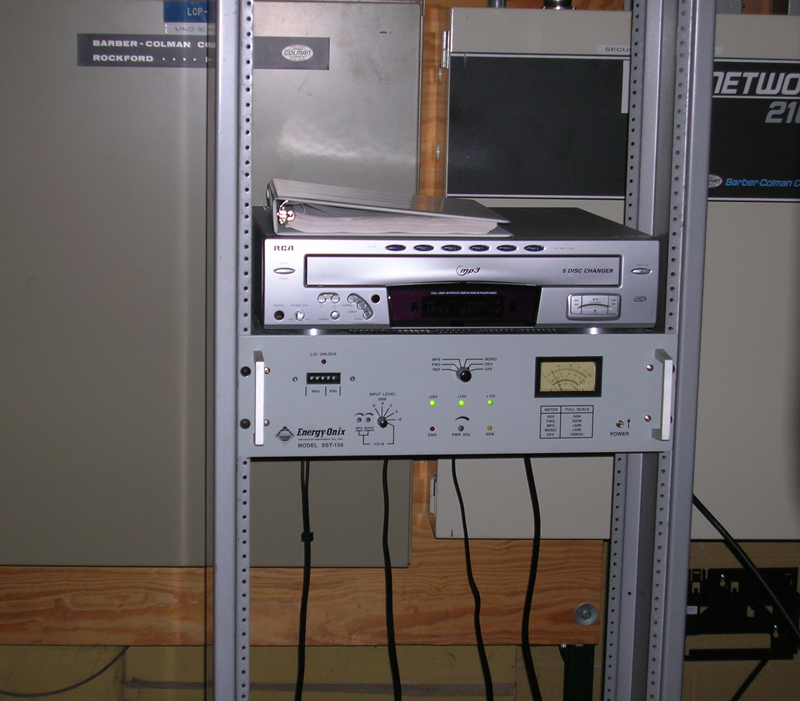 A close up picture of the CD player and FM transmitter for WTPB. Dean Kenrick Peters shows WRCR alums the space being readied for WTPB. 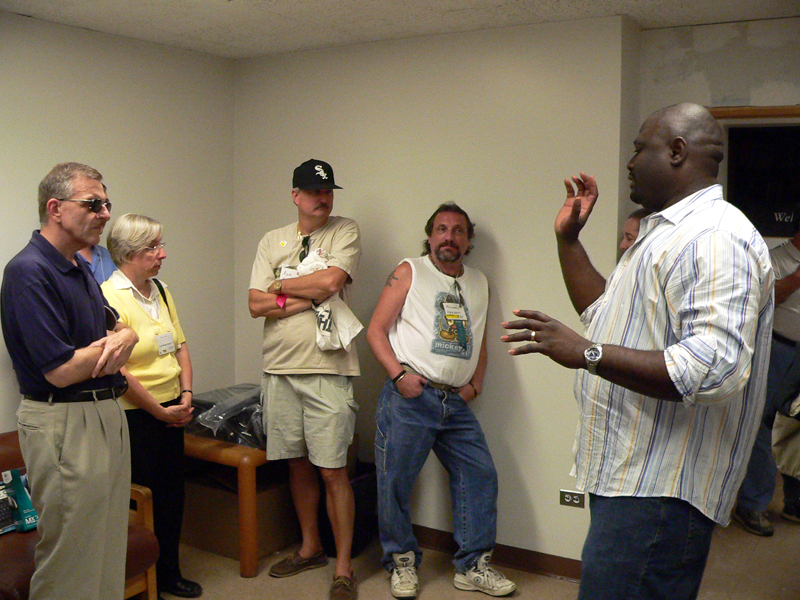 This tour was during the 2005 Fall Reunion. This space is at the opposite end of the hall from WRCR 3.0 in lower Burpee.